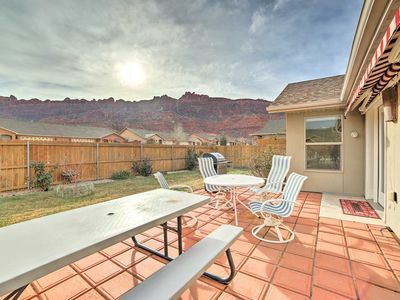 The views are amazing from this newer corner unit located in Rim Village Vista. 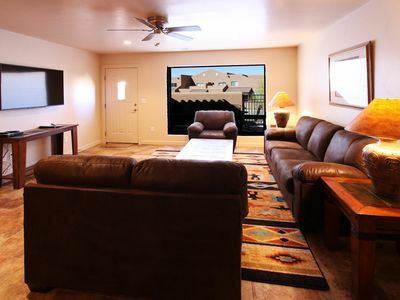 The nicely furnished townhome has 3 bedrooms (king and 2 queen beds), and 2 twins in the loft (couch makes into 1 twin, roll out under the couch makes the 2nd twin) in the loft. 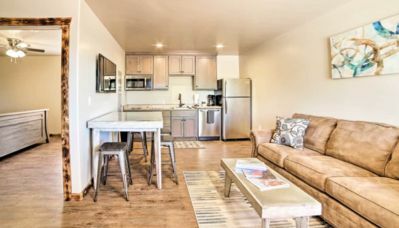 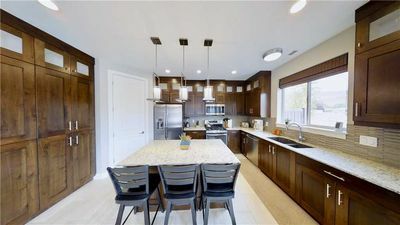 There is a well equipped kitchen (including an espresso machine), linens and towels are provided, a washing machine and a dryer, televisions in the living area, master bedroom, and loft, plus a 2 car garage to park your car or to store your toys. 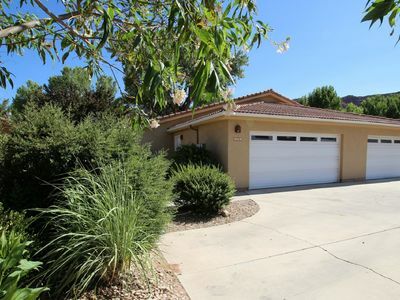 There's a bicycle repair rack in the garage too! 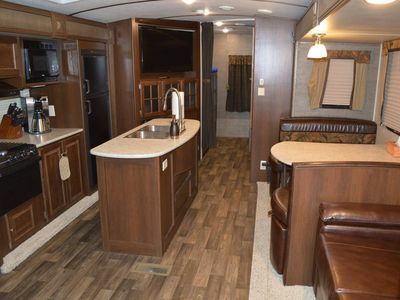 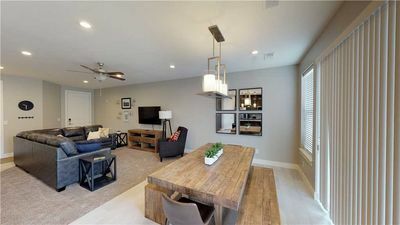 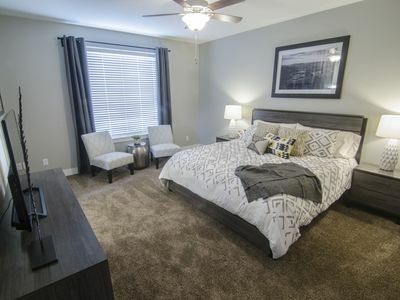 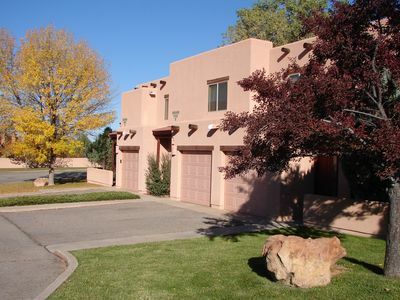 You will enjoy the comforts this townhome offers. 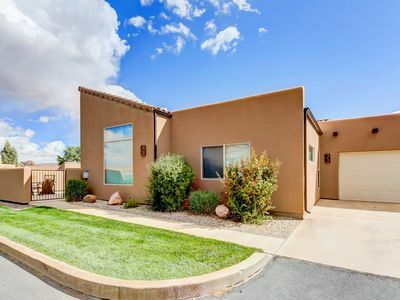 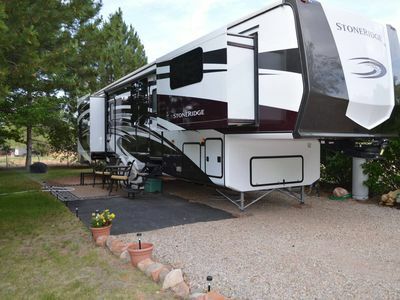 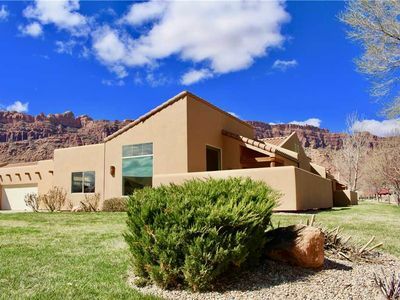 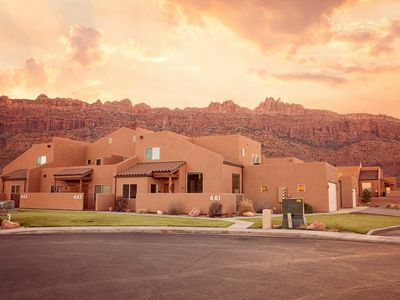 Southwest Charm and Amazing Views, just minutes from town! 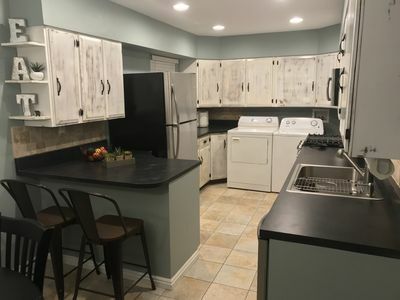 Quaint Home In Town With Rural Feel! 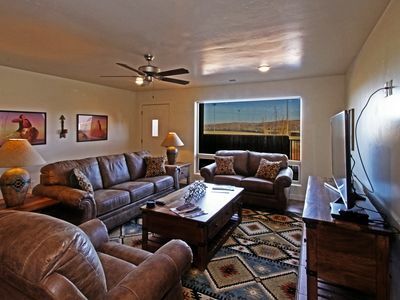 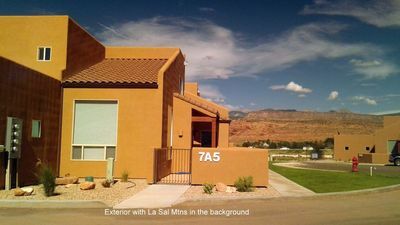 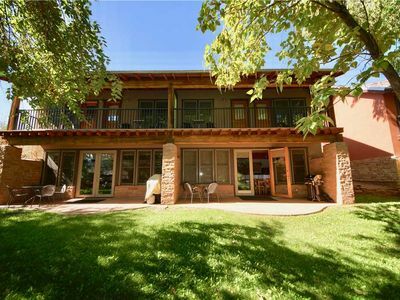 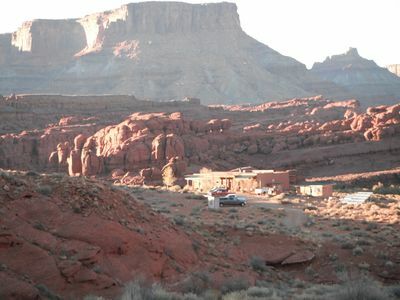 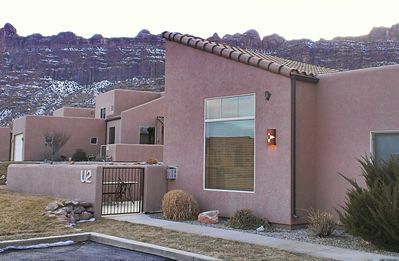 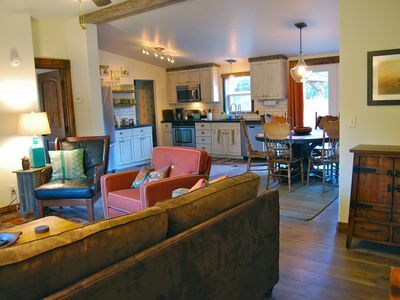 For your next Moab vacation, come stay in this well appointed townhouse!